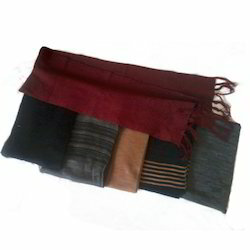 Offering you a complete choice of products which include woolen caps, fancy woolen jacket, woolen mufflers, sweaters for men, mens v neck sweaters and hooded sweaters. Our Woolen Caps is widely demanded by the clients for their availability in various designs and cuts. Stylishly designed these products are available in various size sand designs. The offered products are made accordingly as per the needs and requirements of the clients. Moreover, the Woolen Caps we offer can be worn with different attire. We are presenting a quality gamut of Fancy Woolen Jackets. These products are available in various sizes, designs and patterns. Our products are designed accordingly as per the needs and demands of the clients. We assure our clients to deliver a quality array of Fancy Woolen Jackets. Moreover, these are available in the market at reasonable rates. 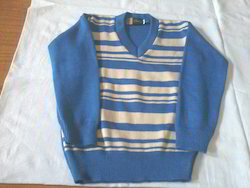 We are involved in manufacturing a finest quality of Sweaters for Men. The products we offer are widely demanded by the clients for their comfortable nature. Easy to wash these School Sweaters are known for their shrink resistance and colorfastness. Furthermore, our products are available in various colors in both standard as well as personalized manner. 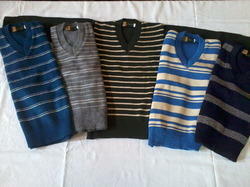 We are involved in manufacturing of finest quality of Mens V Neck Sweaters. The products we offer are widely demanded by the clients for their comfortable nature. 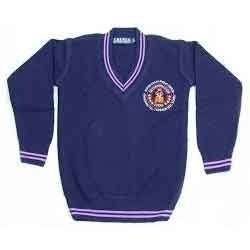 Easy to wash these School Sweaters are known for their shrink resistance and colorfastness. Furthermore, our products are available in various colors in both standard as well as personalized manner. We are one of the well-known manufacturers and suppliers of Hooded Sweaters. The offered Hooded Sweaters are widely liked by men of all age groups and sections. Our supplied men’s designer pullovers are highly admired for color fastness and shrinkage resistance. The offered men’s designer pullovers are easily available at very economic and affordable market rates. 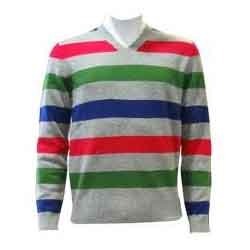 We are manufacturing and supplying a stylish array of Striped Sweaters. These cardigans go well with traditional as well as western outfits. We offer them in wide ranging colors and specifications. 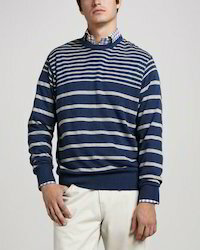 We are one of the well-known manufacturers and suppliers of Mens Designer Pullover. The offered men’s designer pullovers are widely liked by men of all age groups and sections. Our supplied men’s designer pullovers are highly admired for color fastness and shrinkage resistance. 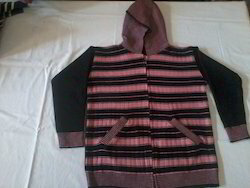 The offered men’s designer pullovers are easily available at very economic and affordable market rates. 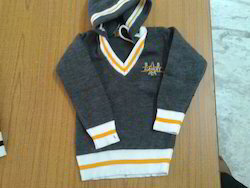 We are involved in presenting a finest quality myriad of School Sweaters. The products we offer are widely demanded by the clients for their comfortable nature. Easy to wash these School Sweaters are known for their shrink resistance and colorfastness. Furthermore, our products are available in various colors in both standard as well as personalized manner. Designer Sweaters provide a fashionable and smart appearance protecting from the cold winter. 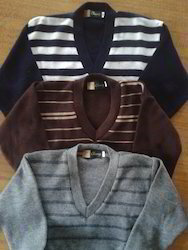 These sweaters are available in variety of designs including V neck, round neck and turtle neck. Our stunning range of designer sweaters are easy to wash and care. 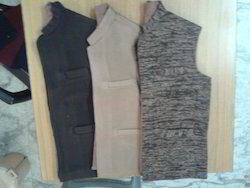 We are one of the well-known manufacturers and suppliers of Nehru Jackets. The offered men’s designer pullovers are widely liked by men of all age groups and sections. Our supplied men’s designer pullovers are highly admired for color fastness and shrinkage resistance. The offered men’s designer pullovers are easily available at very economic and affordable market rates. We are manufacturing and supplying a stylish array of Winter Wear. These cardigans go well with traditional as well as western outfits. We offer them in wide ranging colors and specifications. We feel proud to introduce ourselves as one of the well-known manufacturers and suppliers of Mens Plain Pullover. The offered men’s plain pullovers are designed and styled by the expert fashion designers of the trade. 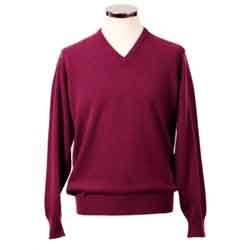 Our supplied men’s plain pullovers are highly liked for being shrink resistant and skin friendly. The offered men’s plain pullovers are available at very affordable and economic market rates.